Located in the rolling green hills bordering the Arkansas River at the upper portion of Keystone Lake, Cleveland is a community rich in the tradition of the American West. The area was visited by early explorers and was later visited by famous writer, Washington Irving, in 1832, who noted his visit in his book, A Tour of the Prairies. Cleveland was another one of the many cities that emerged at the speed of a gunshot during the settlement of the Cherokee Outlet on September 16, 1893. Settling in a cornfield on the banks of the Arkansas River, the tent dwellers were met by Col. J.W. Jordon, Cherokee agent and deputy U.S. Marshall, who was assigned to this valley to keep boomers out of the Cherokee Outlet. Within a few months after the opening of the Strip, Jordan, along with others forming the Jordon Valley Town Company, platted the town naming it after the current president of the United States, Grover Cleveland. It is interesting to note that the city was platted with its center located at a point where, supposedly, water poured on the street at this point would run in four directions. Cleveland was Oklahoma's pioneer oil city when in July, 1904, the Lowery #1 oil well came in just south of Cleveland opening the sand and creating Oklahoma's first oil boom town. Keystone Lake's blue-green water and the natural beauty of its setting - wooded shoreline, sandy beaches, high bluffs, grasslands and rolling hills - make it a visual treat the year round. The lake meanders into small valleys creating many arms and land fingers. Cleveland welcomes visitors and outdoor enthusiasts to relax and browse their downtown shoppes and stock up on supplies for their lake adventures. Oklahoma's "Flag City" is a must for the annual fireworks show in early July. In addition to a fireworks extravaganza, activities include a patriotic musical salute and events for kids of all ages. Hallett Motor Racing Circuit is a 1.8 mile, 10-turn road racing course in the rolling Osage Hills of North Eastern Oklahoma. It is located 10 miles south of Cleveland on Highway 99, and 35 miles west of Tulsa. The Triangle Oil & Historical Museum features a wide selection of Cleveland and Pawnee County memorabilia as well as exhibits on early oil field work in the area. The history of the Triangle Region includes the area bordered by the old Pawnee reservation and the Arkansas and Cimarron Rivers. Feyodi Park is Cleveland's own park on upper Keystone Lake. It is a beautifully maintained area just a few minutes from town, and is the center of many community and family activities. The annual Freedom Celebration with an extravaganza of fireworks is a fun-filled day at Feyodi Park. Located within Dr. Hanson park & playground, the Cleveland Swimming Pool is one of very few oval shaped pools left in operation - the deepest part is in the middle! Future plans for Dr. Hanson park include a Skate Park! 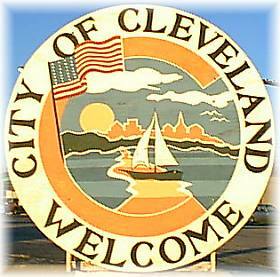 Cleveland's Community Center is home to many area happenings. Area Senior Citizens share lunch each day and dancing every other Tuesday evening. Also, mark your calendar for dance classes!